Deaf homes were shaken during an earthquake, none seriously injured, despite waves of aftershocks, a few cracks in the wall and perhaps a few shattered window here and there. 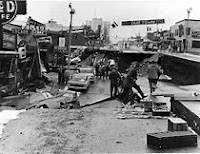 Alaskan has done something right, its towns intact, learning a lesson from a devastating, the largest ever in America history, 1964 9.2 earthquake that had us improving our building codes to prepare for the next big one. Teachers were on its way to the Alaska School for the Deaf when it hit, arrives safely or were diverted to check on their family, knowing that classrooms would be cancelled anyway. 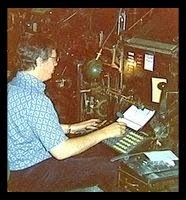 In 1964, TTYs are useless with the power outrages, nowadays Deaf got smartphone to keep in touch with each others via texting, e-mails, videophones, and social media instantaneously, not having to wait until the next Deaf club meeting to share their stories. Life goes on, we help each others, the Deaf club dingo this weekend is still on.